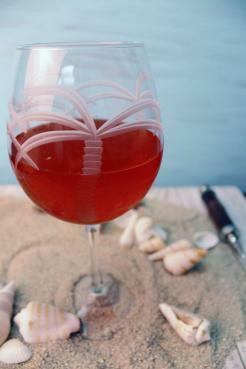 Our Blackberry Wine deserves a well-rounded glass like this one. 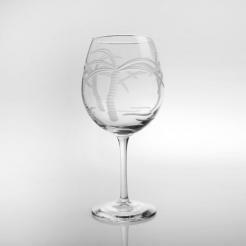 The outer glass is detailed with etched palm trees. 18 ounce 8 inches tall.